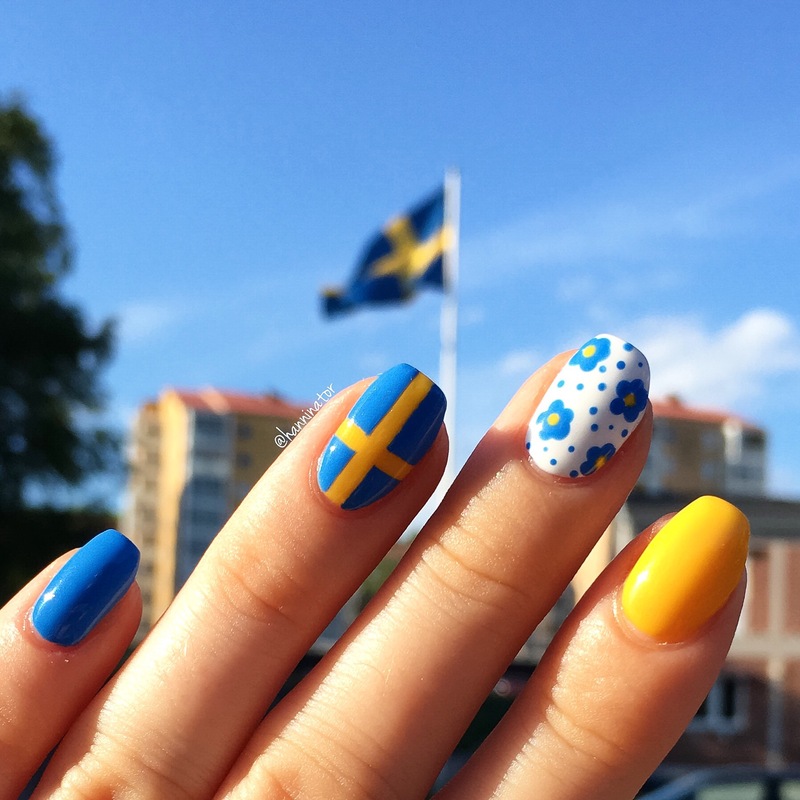 Today is Sweden’s national day so I made some Swedish themed nails to celebrate! We don’t really know how to celebrate the national day in Sweden though and it has only been a public holiday since 2005. I enjoyed a day off, reading on the balcony, swatching nail polish and making this mani. How do you celebrate your country’s national day?